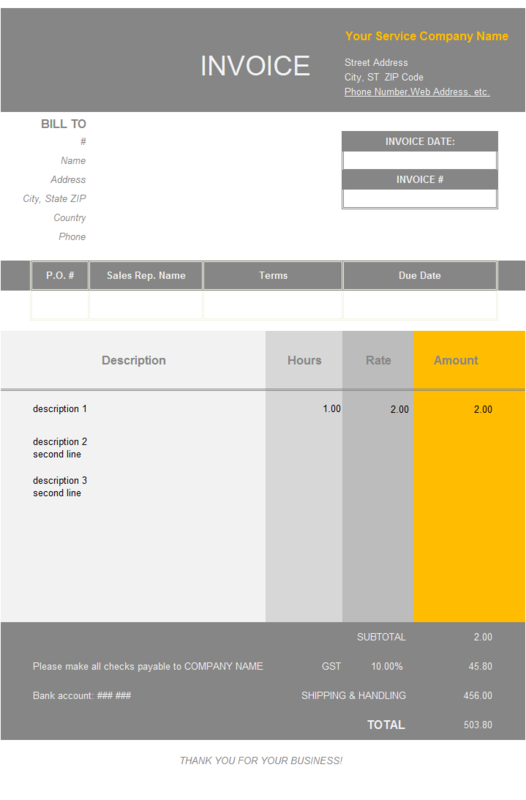 c4079 now includes the customized invoice template for the latest version of Invoice Manager for Excel. This is what you will see when you open consultant-invoice-uk-ltd.xlsx. As the U.K. government web site shows, only VAT-registered businesses, like a limited company, can issue VAT invoices and a VAT invoice must include certain information in order to be valid. Most transactions requires a full VAT invoice; but you can use a modified invoice for retail supplies over £250; or a simplified invoice for retails supplies under £250 - and for other supplies from 1 January 2013. This c4079 Consultant VAT Invoice for U.K. Limited Company is able to create full invoice for service businesses. 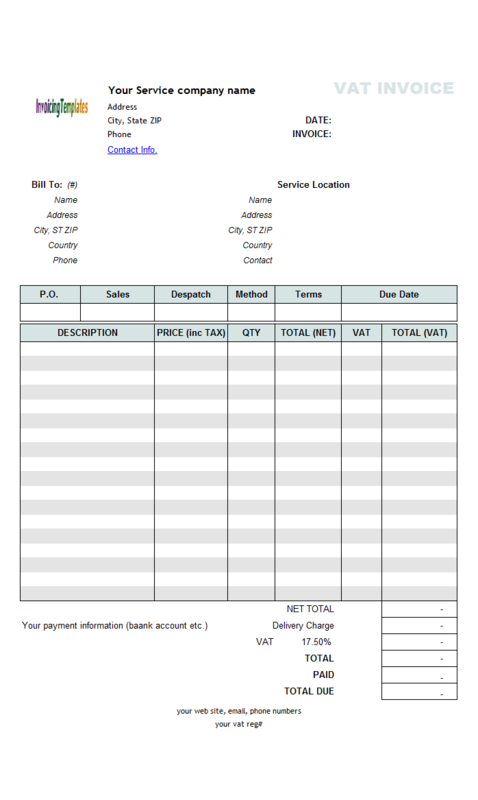 Another template here on Invoicing Template, Hourly Service Invoice Template (UK Currency), does not show the VAT registration number field on the top of invoice, but you can easily add it once the spreadsheet is unprotected (click the "Design Mode" button on "Invoice" worksheet). 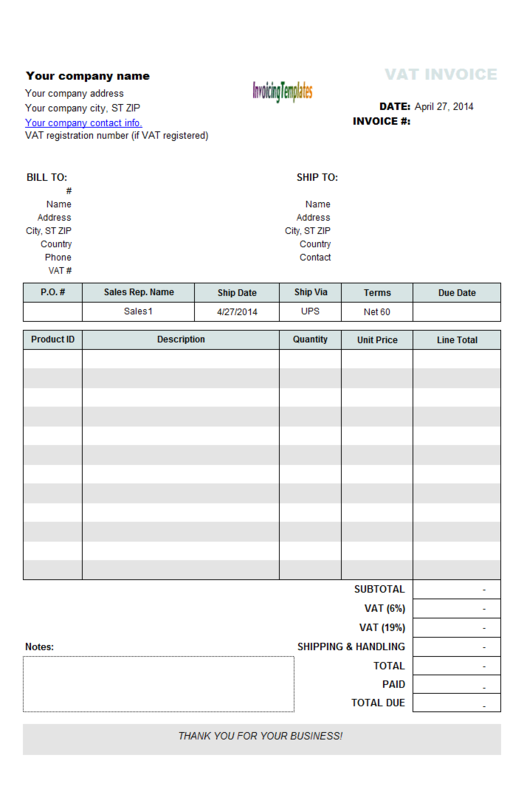 Still looking for more UK invoicing templates? You can search our Excel invoice templates, or visit the U.K. invoice templates collection. 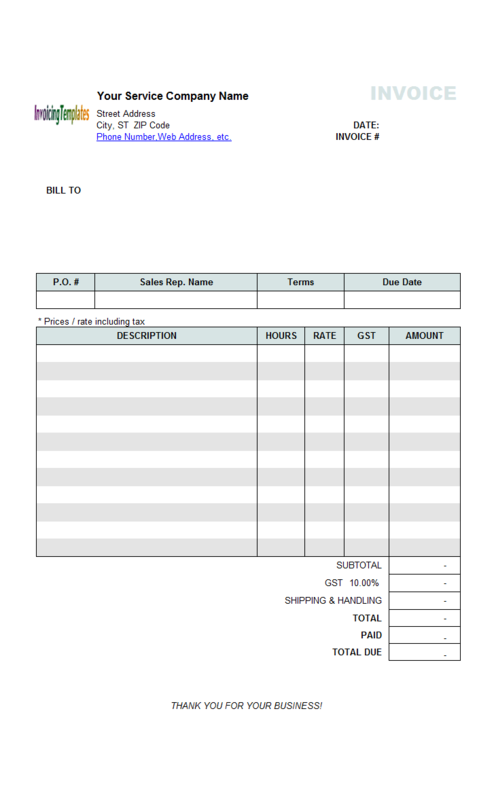 On the top of the invoice, there are several lines added to provide additional information that is required in a full valid invoice. Now the section includes fields for your business name, address, city, postal code, phone and contact#, company number and VAT registration number. 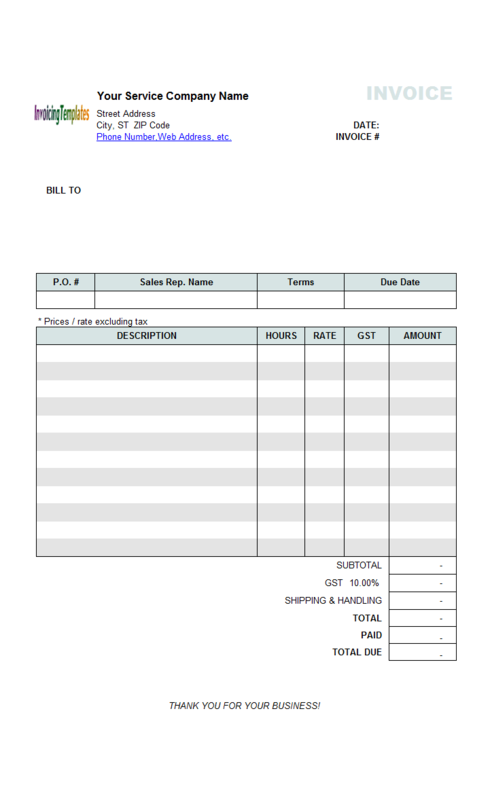 In the "Bill To" section, there are 6 fields for you to detail customer's information, including Client# (ID number), address, city, postal code, and phone / contact number. A consulting project may there may be other documents that further detail the project. So under the "Bill To" section, we added fields for "Our Ref" and "Cust. Ref" for you to enter the indexing number of related reference documents. 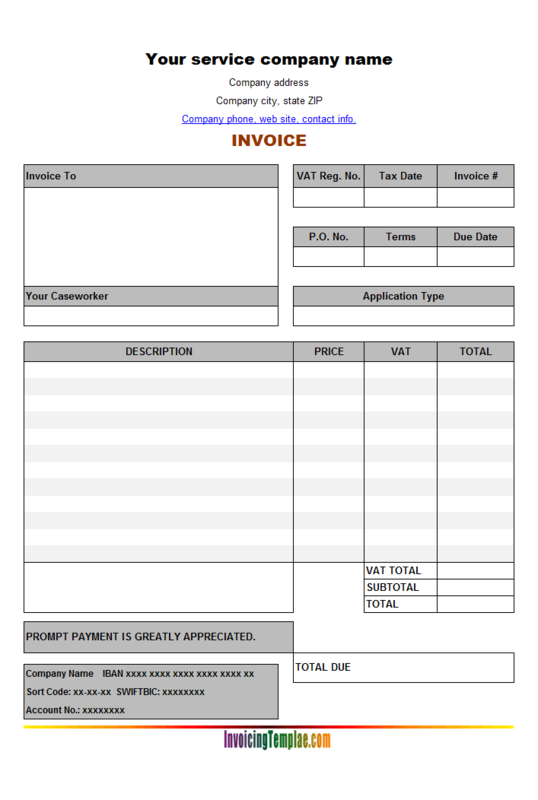 For other options, visit our category of consulting invoice templates. The "Sales Rep. Name" and "Payment Term" fields here, like they are in the standard invoice template shipped with Invoice Manager for Excel (namely Uniform Invoice Software), support the "on-sheet picker" button - this is a smart and little button that appears whenever you click the supported cells, you can open a list of possible choices by clicking the picker button. When you click the "Clear & New" button, the sales rep. name and payment term are set to their default value respectively. You can change the list of possible values and default values by clicking the "Settings" button on the "Invoice" ribbon tab, and then go to the "Misc. Data" tab. 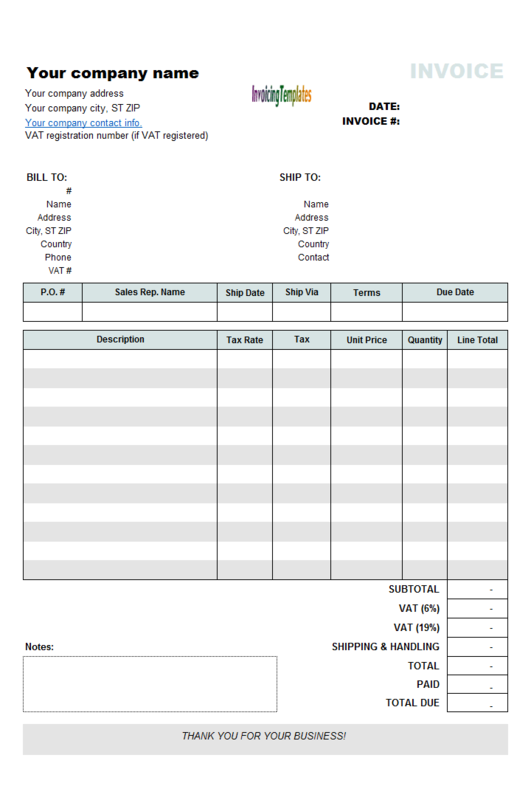 On the detail section Consultant VAT Invoice for U.K. Limited Company includes 4 columns and 11 rows. Each row is able to hold 2 lines of text so it enables you to enter relatively long descriptions. The unit price column is titled with "Rate" which is a VAT-excluding price. So with this template, the "Subtotal" is the amount excluding VAT. 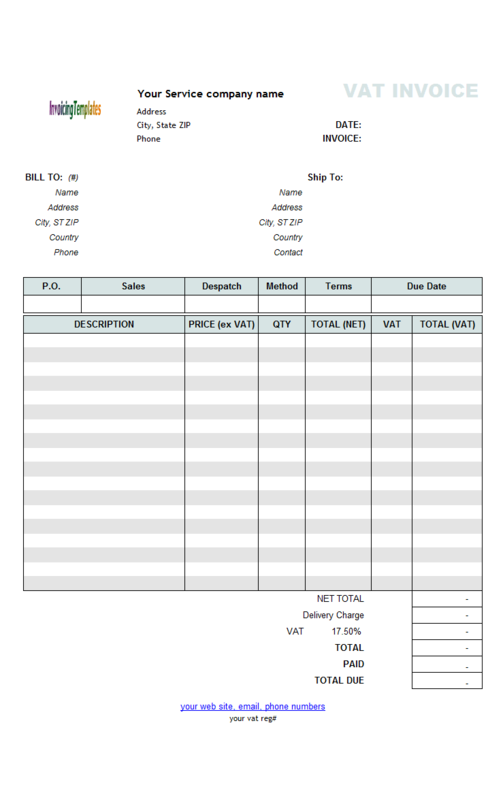 On the bottom of the invoice form, the template uses an Excel formula to calculate the amount of VAT from VAT Rate and Subtotal. The VAT Rate (See UK VAT Rates) is set to 20% by default, but you can easily change this by going to the "Taxes" tab of the "Settings" window, which can be opened by clicking the "Settings" button on the "Invoice" ribbon tab. 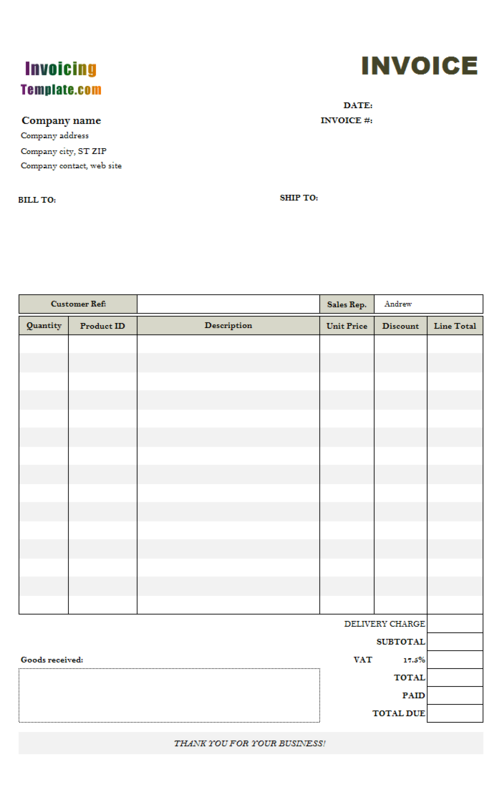 For more pricing models on VAT invoices, visit VAT invoice templates. 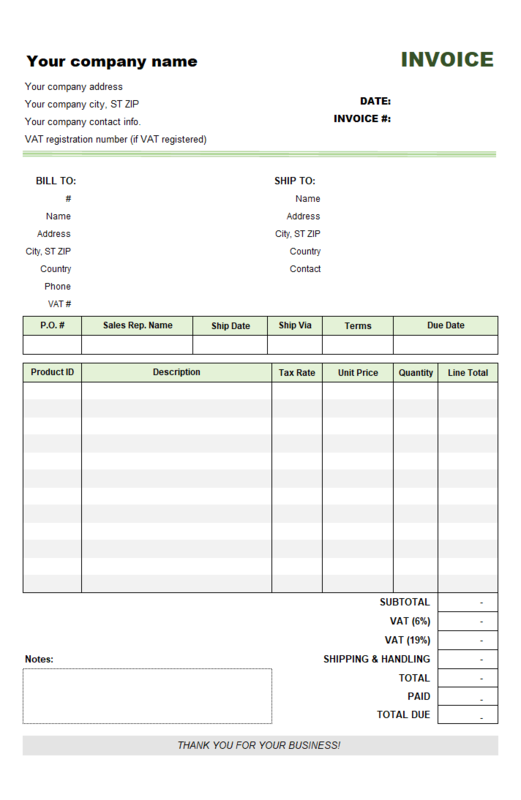 This templates assumes all items are charged at the same VAT rate. This template does not show currency symbols. 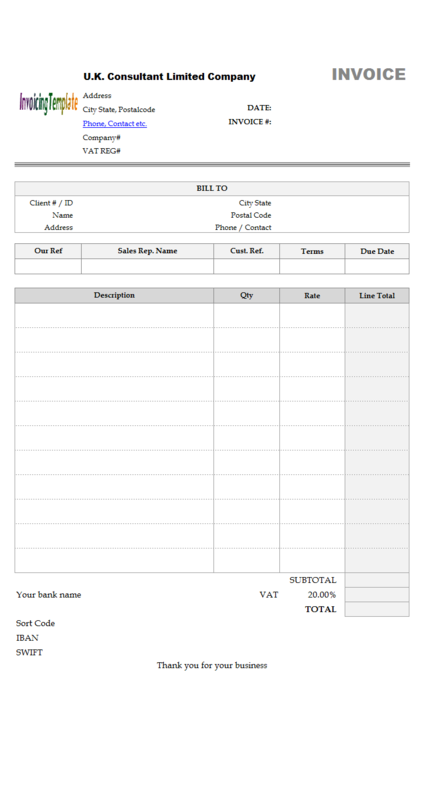 On the left-bottom corner of the invoicing form, there are space for you to fill in your bank name, bank account#, sort code, IBAN and SWIFT codes. If you don't need these fields, simply delete - this will not affect the function of this Consultant VAT Invoice Format for UK Limited Company. 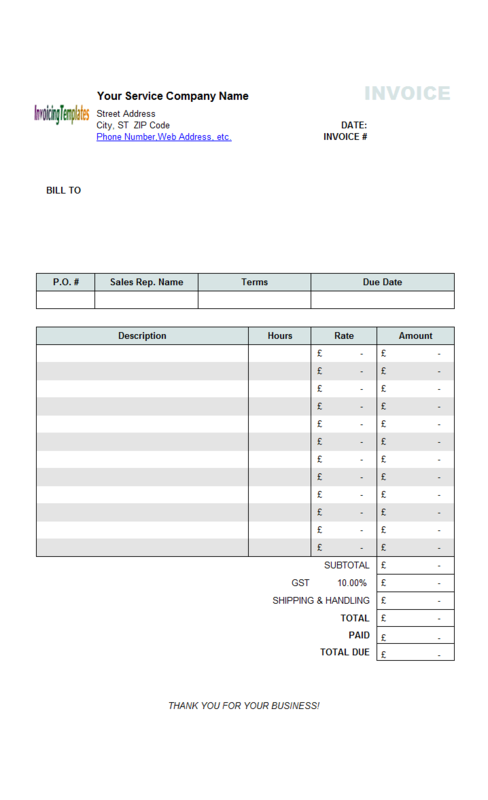 As the UK government web site said, each invoice should have its unique invoice number that follows on from the last invoice. 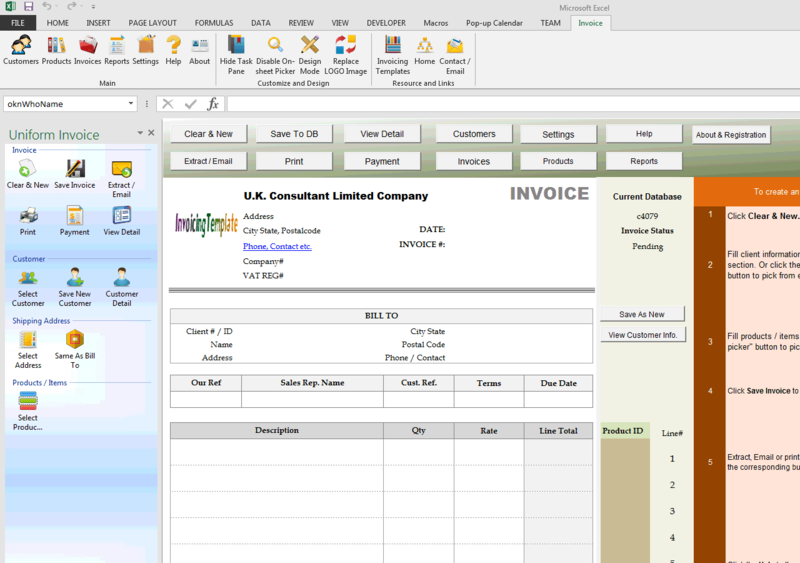 Invoice Manager for Excel (namely Uniform Invoice Software) provides this type of automatic invoice numbering feature. 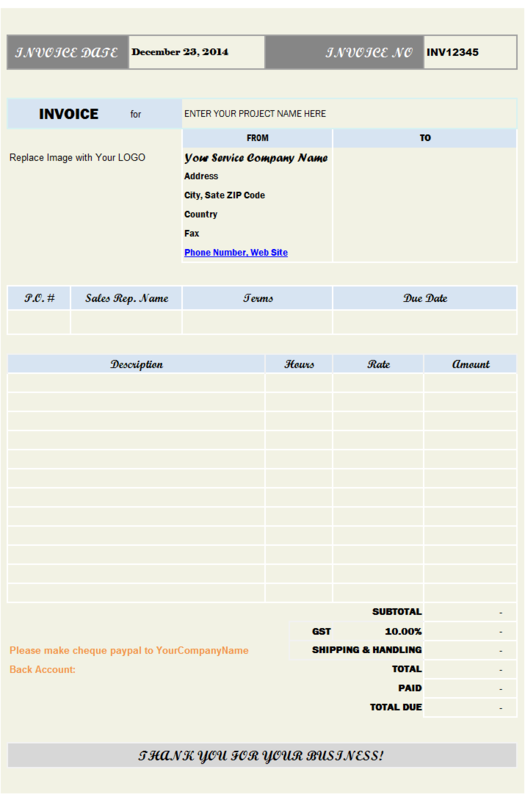 When creating invoices, you simply left the invoice# field empty. Once you have filled all the required information and then click "Save Invoice", a new invoice# is generated automatically. 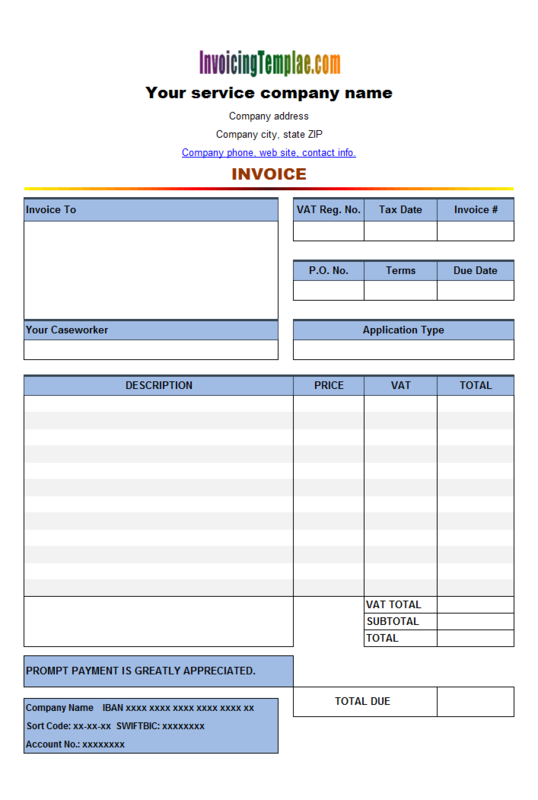 Like other form designs here on InvoicingTemplate.com, Consultant VAT Invoice Format for UK Limited Company is free (offered to you at a price of 0.00USD). It works on Windows XP and all newer versions of Windows, and Excel 2007, 2010, 2013 or 2016.